The Youth Initiative for Education, Development and Empowerment of Niger Delta (YIFEDEND) has faulted the alleged rebellious attack on the Niger Delta Development Commission (NDDC) by Senator Heineken Lokpobiri and ex-Governor Timipre Silver. YIFEDEND strongly criticised Lokpobiri, who is the Minister of State for Agriculture, over his alleged involvement in ongoing efforts to undermine the Senator Victor Ndoma-Egba-led NDDC Board. The group, in a statement by its President, Ambassador Agbonkpolor Splendor, regretted that the minister could allow himself to be allegedly used by Sylva to spoil the good works of the Commission. 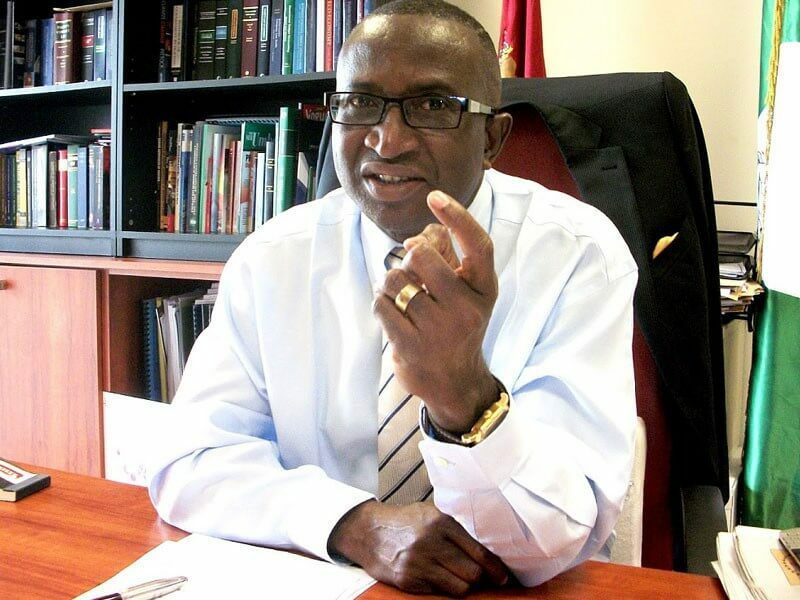 Ambassador Splendor stated during a conference in Abuja that the YIFEDEND will resist any attempt by “selfish persons” to ridicule President Muhammadu Buhari’s appointment of Ndoma-Egba as Chairman and Nsima Ekere as Managing Director of the NDDC. “One needs to commend President Buhari for the clarity that the sacked Board did not complete its full tenure, and so appropriate and equitable to give the various states their due in the new Board. President Buhari’s action could not, therefore, be seen as a fulfilment of any legal obligations specifically imposed by section 5, subsection 3 of the enabling law,” said Splendor. “Only mischief makers will look at it otherwise. He acted in fulfilment of his power to appoint the Board, under the Act, and pursuant to his discretion to constitute the Board howsoever he deems fit, in so far as he does not break the law in exercising that discretion. “In any case, even assuming, without conceding, that the present Board, despite its clear fresh mandate and lack of any nexus whatsoever with the previous Board, is nevertheless extraordinary completing the tenure of that Board, how can its tenure be deemed to expire this December when there was a sole Administrator from Rivers State, who served quite a while and comes from a state other than that of the sacked or present Managing Director? “For the avoidance of doubt, what the Act provides for is a vacancy existing on the Board and for such to be filled for the person to complete the tenure of the former occupant, not a situation where an entire Board is dissolved and an acting Managing Director had even served. “Letters of appointment given to the current Board clearly spelt out the terms on which they were engaged and to call for such to be retracted is a call to rule of anarchy in a country governed by clearly spelt out laws,” he said.